This is a discussion group for mooSocial's Backup and Restore plugin. Have ideas, suggestions, questions regarding this plugin? Please post them here. Is this plugin compatible with 3.0.2? Mark Not sure if you followed the process or not. You should to install new mooSocial site first, then install backup and restore plugin, then restore the site from the backup file. No need to add folders inside "tmp" into backup file because they will auto create when you install mooSocial. Mark You should change site to development mode to see details of the error. Your hosting has been disabled function exec. Please contact with host enable this. Any ETA for moo 2.6.1 support? (php7 + S3)? ketkew bump. Because I have disabled this plugin at this moment, but really like to use it again on my 2.6.1 network. Mark it&apos;s compatible with 2.6.1 by default. It works well with php7 but not work with s3. It does not make sense to implement s3 for this plugin. If you have any issue with us, please send ticket. I received an automated mail from my hosting company that my 100Gb free backup space is 99% full. Now I have deleted 70% of the backups so the backup plugin can continue for a while. It would be nice to set a maximum backup rotator. For example, in the plugin admin I set the rotator to value 20. 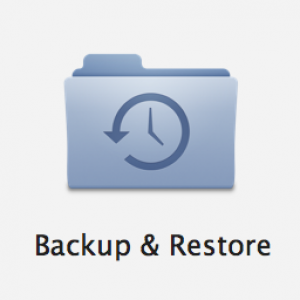 After 20 backups, the oldest backup will be deleted from the local OR remote storage and will be replaced by a fresh new backup. With th... moreI received an automated mail from my hosting company that my 100Gb free backup space is 99% full. Now I have deleted 70% of the backups so the backup plugin can continue for a while. Mark Your suggestion option is available. See attached screenshot please. Mark seems that it&apos;s bug. Please send us ticket. We will help you check that. 0755 is not ok for writable permissions? Which kind of permissions should I get? But everyfolder it&apos;s set up on 0755 as the same as in the release server where I got the backup. Any ideas? Dusty Lor Oh, well, maybe it could useful for someone, I manually made the moo_backup folder and set it up on 755 and it worked. 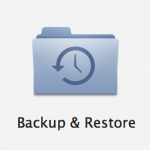 Got a question about backup & restoring my live site to a new development environment. So, which steps do I have to make? 4. restore the live site backup.zip via the backup&restore plugin in... moreGot a question about backup & restoring my live site to a new development environment. Thats it? Is it working out of the box? Or do I need to configure config.php and also some paths in the database? Because it&apos;s now installed in a different directory? Ryan Nguyen Correction: You will only need to install the back up and restore plugin. Installing all plugins is not necessary. ketkew Hmm strange.. I did read your other topics concerning your problem. This needs to be investigate by the mooTeam. as it should work out of the box. Mark GeorgiosT please submit support ticket. Dusty Lor What if I try to get restore into another server / url / database / etc? What have I do? Dusty Lor I tryed to get restore from release website to development site as suggested by @ketkew but nothing happened. What&apos;s wrong? Dusty Lor While when I try to get restore inside the same website it normally works. If I try to get what @ketkew suggest it doesn&apos;t work. Dusty Lor Even if the mail has arrived, that says "Restore backup successfully", but the DEV website it&apos;s perfectly the same as before restore process. Does this plugin works on a shared server too? I was wondering that "cron" can&apos;t be setted up as you suggested. But can it indeed work with a shared hosting? Mark yes, it works on shared hosting. About the plugin, when you write "root site" do you mean "webroot" folder or the root understood as the main folder? Tung Vu Hi @Dusty Lor, "root site" is the main folder. Dusty Lor Doh! I made a mistake. Thanks! Dusty Lor Ok, well I answered the question by myself. It&apos;s ok for the moment about plugin installing.